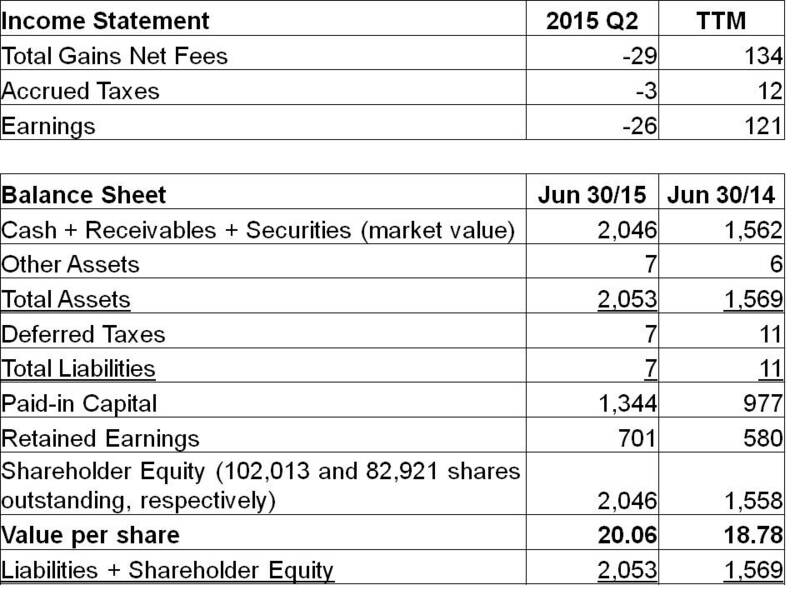 For the second quarter ended June 30th, 2015, KVF lost $0.25 per share, reducing the value of each share to $20.06. Excluding currency effects (which represented $0.14 of the $0.25 decline this quarter), returns were essentially flat for the quarter. This compares to flat S&P 500 and Russell 2000 indexes, and a decline on the order of 2% in the Canadian S&P/TSX index. While the price change to the overall portfolio this quarter was minimal, the stocks within the portfolio were another story. Some securities were decimated while others were big winners. It just so happened that these cancelled each other out this quarter, but with a change in luck in either direction, the results would have been very different. Regardless of what happens in any given quarter, the focus remains on buying good businesses at less than they are worth, as this will result in good long-term returns. 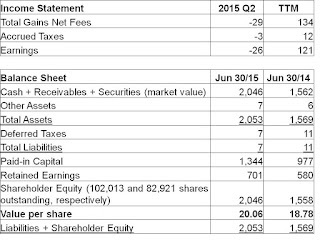 KVF no longer holds shares in STT Enviro following its price run-up this quarter, as discussed here.